Pelvic floor physical therapy is the most proven treatment for interstitial cystitis. It’s the only therapy given an evidence grade of ‘A’ by the American Urological Association and recommended in the first line of medical treatment. But patients often wonder how does treating muscles and fascia reduce urinary symptoms and pain that seem to be coming from the bladder? The muscles of the pelvic floor are often tight in patients with IC, causing trigger points to develop in these muscles. When the body experiences pain, inflammation rushes to the site. Since IC is a chronic condition, the inflammation persists and begins to affect the fascia and muscles of the pelvis, inner thighs, and lower abdomen. Trigger points, muscle tightness, and inflammation can combine to irritate the nerves that run through the pelvis, which can cause pain to manifest throughout the pelvis and surrounding areas. The brain can also interpret these signals as the urgent need to go to the bathroom, which creates the urge to go even when you know the bladder is nearly empty. We often refer to this as the dysfunction-inflammation-pain (DIP) cycle. The goal of physical therapy is to disrupt this feedback loop at every point we can. Releasing the trigger points in tight muscles can lessen pain and restore normal function to the pelvic muscles. Clearing inflammation that is present in the fascia (the thin layer between the skin and muscles underneath) can restore blood flow and reduce tender points. In turn, alleviating dysfunction and inflammation can reduce IC pain. One of the biggest myths of interstitial cystitis is that it is exclusively a bladder condition. Fewer than 10% of patients have confirmed damage to the lining of the bladder (known as Hunner’s lesions). In fact, experts in the field now believe the bladder to be an ‘innocent bystander’ in many cases of IC. Some symptoms of IC can be caused by either the bladder or pelvic floor (or a combination of both). Others are exclusively due to the pelvic floor. Even patients who have surgery to remove the bladder often still report the same symptoms persist after the procedure (which is now recommended only as a last resort). 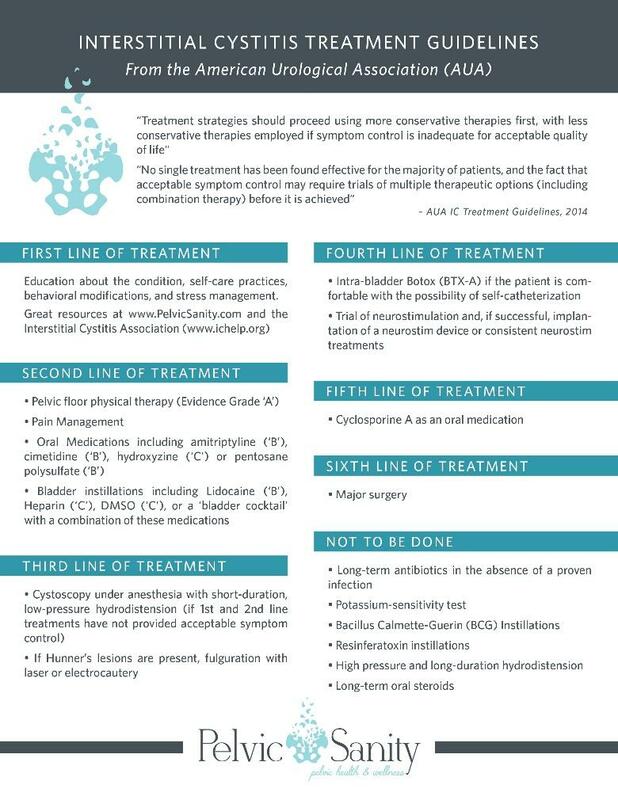 The American Urological Association IC Guidelines recommend physical therapy in the first line of medical treatment (2nd line overall), and physical therapy is the only treatment option given an ‘A’ evidence grade. Download the printable version here. Research into physical therapy for IC began almost 20 years ago, but many of the major findings have been published relatively recently. Two major, multi-center clinical trials conclusively established pelvic floor physical therapy as the most proven treatment option for IC in 2009 and 2012. Conducted by researchers from Stanford, Michigan University, the Cleveland Clinic, UPenn, and other prestigious programs, researchers found that nearly 90% of patients with IC experienced at least some improvement with manual physical therapy. Significant improvements in pain, urinary symptoms, and sexual dysfunction were all reported over the course of 10 one-hour sessions. In a follow-up study conducted at our clinic and published by the International Pelvic Pain Society, patients reported more than a 65% improvement in IC pain and how much symptoms bothered them on a daily basis. More than half noted that they experienced benefits within the first three treatment sessions. With all of this research, physical therapy remains the only treatment proven to sustainably benefit a majority of patients with interstitial cystitis. The goal of physical therapy with interstitial cystitis is the same as for more common conditions like knee or low back pain. We’re working to restore normal function to the muscles, prevent them from irritating nerves and causing pain, and clearing inflammation from the system. It’s just being performed in a more sensitive place, as some of the most important muscles can only be reached internally. Hour-Long Treatment Sessions. The studies in this area and most specialists conduct hour-long treatment sessions. This gives time to address the complexity of interstitial cystitis and to address both internal and external factors with each visit. If your pelvic PT only offers 30 minute sessions, you may consider trying to increase the frequency of visits or concentrate more on your home program to make up for the time. Both Internal and External PT. The pelvis is the crossroads of the body. It’s influenced by both the big external muscles that attach there (hamstrings, glutes, hip flexors, abdominals, and low back) as well as the smaller internal muscles of the pelvic floor. Your physical therapist should be finding and resolving issues in each of these muscles – we even spend a lot of time working on the calves of our patients, which are linked with the pelvis and often contribute to symptoms! Clearing Inflammation. The lower abdomen and inner thighs are both areas where inflammation tends to be present with IC. Clearing these areas is a high priority for patients in pelvic physical therapy. No Kegels. ‘Kegels’, or the voluntary squeeze and hold of the pelvic floor muscles (like you’re trying to hold back urine) should not be performed. These muscles are already overly tight; the goal of physical therapy is to relax these muscles, not further irritate and shorten them. Strengthening, including Kegels, may be appropriate later in treatment, after the pelvic floor is cleared and symptoms have been significantly reduced. No Pain. Physical therapy shouldn’t hurt or cause a pain flare. There may be some discomfort as we target trigger points and areas that are tender, but in general it should be tolerable. Symptoms may occasionally increase for a limited period, or you may be sore after treatment, but physical therapy shouldn’t increase your symptoms. Sometimes internal physical therapy is too painful when just starting out; in that case, your PT should focus externally until you’re able to tolerate internal treatment. Hands-On Treatment. Manual, hands-on therapy is the gold standard of IC treatment. There may be some benefit to biofeedback machines, but your treatment shouldn’t consist primarily of biofeedback. 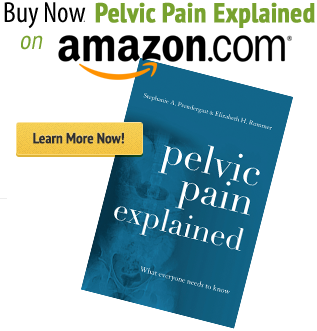 Just as IC is not just about the bladder, pelvic PT can’t be solely about the pelvic floor muscles – the entire pelvic and abdominal area needs to be addressed and treated. 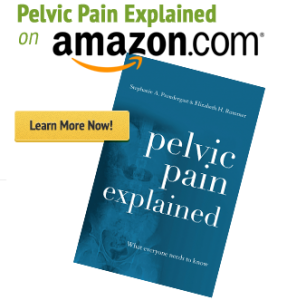 Research has shown that up to 70% of patients with IC have been to at least one (and often several) other physical therapists before seeing a specialist in pelvic pain. There is a range of experience and knowledge among physical therapists about the condition, so don’t assume that physical therapy doesn’t work after a single experience. You may need to try a different physical therapist (even at the same clinic). Don’t be afraid to ask about your physical therapist’s experience with the condition or seek a second opinion if you aren’t experiencing improvement. We generally tell patients they should start to see a significant change – maybe not necessarily a wholesale improvement, but a definite difference – within the first 3-5 visits of physical therapy. Many of your IC symptoms may be coming from the pelvic floor – which is a good thing, because we can do something about them! 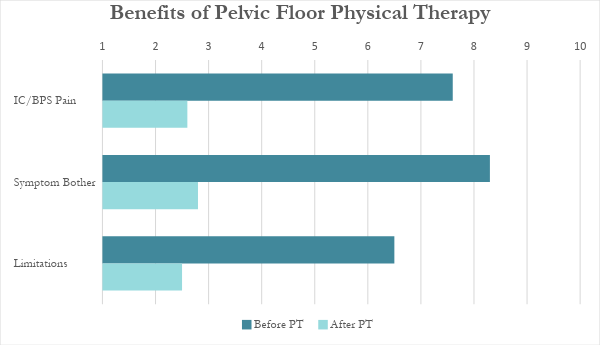 Finding a qualified pelvic floor physical therapist can make a huge difference in your outcomes. Realize physical therapy isn’t magic. It’s going to take dedicated work on your home program, and physical therapy should be one component of a multi-disciplinary approach that may also include medications, bladder treatments, eliminating trigger foods, and managing stress. But by combining external and internal physical therapy with a home program and medical management, patients can meet their goals, reduce their pain, and regain their lives. Nicole Cozean, PT, DPT, WCS is a board-certified pelvic floor physical therapist and the author of the award-winning book The Interstitial Cystitis Solution. She was the first PT to serve on the Board of the Interstitial Cystitis Association and is teaching the first continuing education course for physical therapists exclusively on IC in 2018 through the Herman & Wallace Institute. 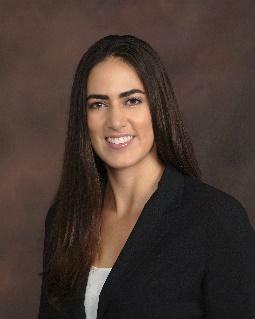 Nicole is the founder of PelvicSanity Physical Therapy in Orange County, CA and treats patients from all over the world. I will always be grateful to my pelvic floor therapist. I got my life back after dealing with it for over twenty years. And I actually educated my urologist with what I learned to help the next male who might have these crazy and debilitating pains in an area that wasn’t well understood. Symptoms are to great for any noticeable cause was a favorite. Then the shrink gets ahold of the DSM and concocts some fancy disease and bam yer labeled. I was diagnosed with IC almost 20 years ago. I’m one of the few that was afflicted with the Hunner ‘s ulcers. Through many surgeries, therapies, and medications, the ulcers have healed and now I’m left with the Pelvic Floor Dysfunction, which is more painful than anything I’ve experienced in the past. I’m currently seeing a new Physical Therapist and am hopeful things will get better. I’ll be printing this blog post off for her. Thank you for the good news! THANK YOU, THANK YOU, THANK YOU. For far too long what physical therapy for IC should look like has seemed like a secret. I had to see the PT to find out what treatments they provided, and now I’m realizing there are many treatments that the therapists I’ve seen haven’t included. I hope more patients are able to get the treatments they should so we all can get better.